Online ordering menu for Ephesus Pizza (ASPINWALL). Ephesus Pizza began in 2001, when our family of Turkish origin created a pizza business with the goal of introducing Pittsburgh to the savory flavors of Turkish and Mediterranean cuisine. 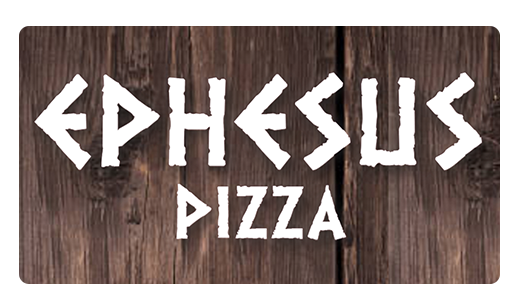 Ephesus Pizza infuses our menu items with the customary freshness of Turkish and Mediterranean foods, providing our Pittsburgh customers with unique options both for those who desire something new and for those who opt for more traditional tastes. Ephesus gives you the best of both cultures, leaving our customers with a flavor experience that can be found nowhere other than Ephesus Mediterranean Restaurant. Contact us for our catering services, a brand new authentic Turkish catering menu, consisting of rice, bulgur pilav, slow cooked chicken or lamb guvech with vegetables, homemade mezes like stuffed grape leaves or piyaz (bean salad), and more! Our catering menu offers dishes that fill your mouth with a burst of flavor in every bite, leaving you and your guests satisfied to the fullest! Order online for carryout or delivery!